It’s hard to think of Lewisburg as an underdog. After all, this is the defending two-time Class AA state champions, a team that lost one game in the last two seasons. But then again, only one starter from last year’s team returns and an incredible senior class graduated leaving a lot of voids in Lewisburg’s lineup. The team though doesn’t feel any pressure from anyone. For the Green Dragons, they’ll be looking to prove people wrong by getting back to the district championship and back into the state tournament. The only starter from last year’s team back is Nate Liscum, a senior this year. Tommy Bhangdia will be back this year after missing 2016 with an ACL injury. The biggest hole for Lewisburg to fill is Joey Bhangdia, the school’s all-time goal scorer and an all-state selection last year. Another team within the HAC-I that is coming off a district championship winning season is Williamsport, which won the program’s first district championship since 1995. And without question, Williamsport wants to build off that and get back into the postseason again this year. 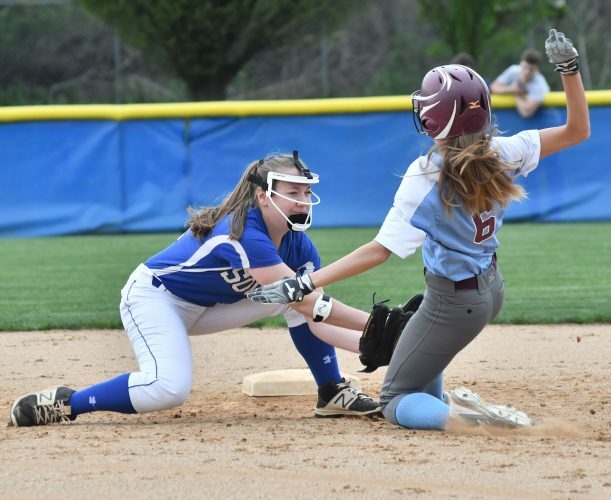 Williamsport lost to Elizabethtown, who went on to play in the state championship game, losing to Conestoga. And Kaar knows that the HAC-I will be a competitive league once again with the likes of Lewisburg, Selinsgrove, Central Mountain, Jersey Shore, Shikellamy and Shamokin. Selinsgrove lost two first-team HAC-I all-stars in Dawson Klinger and Gavin Keller, in addition to Steven Pomykalski. Central Mountain lost senior goalie Brody Baker, a HAC-I second-team goalie. Shikellamy graduated HAC-I first-team forward Anthony Velasquez but does bring back second-team defender Justin Kline and second-team forward Aiden Cooper. Lewisburg won the HAC-I last year and was followed by Jersey Shore, Williamsport and Selinsgrove, in order, who all made playoff berths. “We truly do just focus on the game in front of us,” Kaar said. Williamsport graduated Kolachi Pombor from last year, the team’s leading scorer and a first-team HAC-I forward, but return plenty of talent and have a roster of 45 players. One returning player is J.R. Confair, who posted nine shutouts last season for Williamsport, second-most in the area behind only Lewisburg’s Ryan Ehmann (16). “I think his presence on the field, specifically being more vocal and having better communication from the net up the field has been an improvement. He’s an intelligent young man who knows the game of soccer,” Kaar said of Confair. Jersey Shore is coming off the program’s fourth consecutive postseason appearance after only having one in program history prior to that, and the Bulldogs have a new coach in Doug Moore, a former coach at Lock Haven University. Moore also coached the Montgomery girls last season. The Bulldogs last year had the largest roster in school history and graduated 13 seniors from that team — eight of which were starters — but do return a handful of players, including goalie Calvin Lesser. Last season, Lesser had five shutouts for the Bulldogs, tied for third-most in the area with Wellsboro’s Casey Hoover. Three HAC-I all-star selections from Jersey Shore graduated in second-team forward Jacob Butzler, second-team midfielder Connor Anderson and second-team defender Jacob Corson. Offensively, Jacob Butzler graduated after a solid career, scoring 18 goals last year as he ended with 63 for his career, just shy of becoming the school’s all-time goal scorer. Central Mountain is coming off a 3-14-1 season last year. Roster: Seniors: Javi Albors, Daequan Bullock, Eli Doebler-Wyland, Mohamed Elfayoumi, Tiarnan Ferry, Caden Fisher, Dylan Garner, Gabe McKeon, Lucas Naief, Cam Pardoe, Sam Penman, Nate Powley, Zach Schwoyer, Brian Stopper, Stefan Weber. Juniors: Sean Bush, J.R. Confair, Leo Daverio, Mustafa Elfayoumi, Liam Ferry, Sam Hillman, Tom Pombor, Simon Wallace, Jeremiah Williams. Sophomores: Tyjair Barbee, Aaron Bower, Zach Boyles, Jon Cramer, Wesley Engle, Timmy Girardi, Caleb Hill, Abel Hinojosa, Austyn Levano, Isaac Niemczyk, Amani Tran. Freshmen: Keon Burkholder, Michael Collyer, yler Fausnaught, Thomas Harper, Caleb Kight, Sach Koch, Kaleb McKeon, Hemberth Pena-Vasquez, Dylan Ploppert, Elliott Wannop. Roster: Seniors: Dylan Fox, Dylan Leitch, Mason Zondory, Niall Lanks, Jacob Haag, Joel Robinson, Dominic Maneval, Luke Bischof. Juniors: Dan Paulhamus, Owen Lesser, Alex Trunzo, Dallas Peter, Dawson Wensel. Sophomore: Lincoln Lilley, Parker Miller, Luke Robinson, Luke Maneval, Eric Bell, Schuyler Geary, Hunter Bierly. Freshmen: Kevin Karney, Riley Welshans, Eli Reibson, Matthew Buttorff, Lake Merryman, Ezra Miller, Justin Davy, Caleb Stemler, Alex Butzler, Tate Naugle, Tommy Sawyer, Ross Fuller. Roster: Seniors: Cade Diefenderfer, Sam Miller, Reese Moore, Mateo Bernas, Nate Liscum, Austin Gerlinski, Tommy Bhangdia. Juniors: Sebastian Guerrero, Anders Dollard, Tate Llanso, Ryan Veloz. Sophomores: Anton Permyashkin, Josh Nichols, Logan Moore, Will Lowthert, Cole Temple.